If you drink water that hasn’t been through a purification process – “raw water” – you risk contracting waterborne diseases stemming from bacteria such as Escherichia coli (E. coli) and parasites such as giardia. That’s why water purification is essential for everyone, and it makes water purification project ideas a particularly good choice for a school science fair or presentation. But before leaping into a project, it’s best to learn the basics of why water needs to be purified, the different ways in which it can be done and what your options are for a "method of purification of water" project. Why Should We Purify Water Before Drinking it? In short, you need to purify water so you can be sure it’s safe to drink. The main risks in water are parasites, bacteria, viruses and chemical pollutants, naturally occurring yet toxic metals such as lead, or manmade chemicals. Untreated water will probably taste pretty gross, too. The two most important parasites that are found in water come from feces. That’s right – if you drink water from natural sources without treating it, you’ll be drinking a bit of poop too. This is not only gross; it’s the main source of risk when it comes to untreated water. Giardia is one example, and it’s found in basically every body of water in the U.S., coming from human and animal feces. If you get infected with giardia, it will cause diarrhea, gas and painful stomach cramps, which start about two or three days after you’re exposed. Generally speaking this won’t lead to any long-term problems, but it can if you’re immunosuppressed. The other major parasite is cryptosporidium, which affects almost 750,000 Americans each year. This is similar to giardia in that it takes about two to three days for symptoms to show, and it generally leads to diarrhea and stomach cramps. However, “crypto” (as it’s often called) can lead to more serious issues, such as pancreatic symptoms, cholera-like symptoms in immunosuppressed people and even possibly leading to death for people suffering from AIDS. Giardia is easy to remove with filters or iodine treatment, but crypto isn’t stopped by most filters and needs chlorine dioxide treatment or boiling to remove from water. Many types of bacteria may be present in raw water, but E. coli is the most common. This can cause diarrhea, cramping, nausea and vomiting, and as well as staying well-hydrated, you may need antibiotics in serious cases. Most common water treatments remove E. coli and other bacteria from water, though. In terms of viruses, hepatitis A is the main risk from contaminated water. It can take weeks for symptoms to appear, which are similar to those discussed above, except with joint pain, cramps, a fever and yellow skin in addition to the usual diarrhea and vomiting. You can get a vaccine if you’re traveling somewhere that doesn’t treat their water thoroughly, but if you get infected, the main advice is to drink plenty of fluids and you’ll be OK in a few days. Water treatment with iodine, chlorine dioxide or by simply boiling the water usually protect you from viruses in water. Finally, a huge range of chemicals could be present in untreated water, and they can cause a similarly wide range of symptoms, although as usual diarrhea, nausea, cramps and similar symptoms are the most likely. You can filter these out using evaporation, but many other methods (or even better, a combination of methods) can get rid of them too. So unless you’re immune-compromised, you probably won’t suffer severe symptoms from drinking untreated water, but unless you want an unpleasant week or so of diarrhea and cramps, you should always treat your water. What Are the Methods of Purification? There are different approaches you could investigate or test for a "methods of purification of water" project. They can be broken down into fairly simple groups though: boiling or distillation, filtration and various chemical treatments. 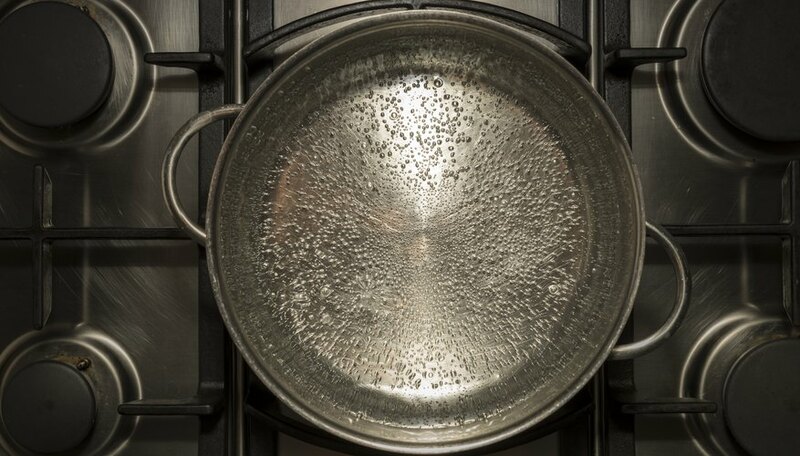 Boiling is undoubtedly the simplest method of purifying water, although you do need a source of heat to do it, and it takes some time for the water to cool back down so it can actually be used. However, boiling is a very effective method of purificiation, and it only takes three minutes of vigorous boiling to remove the risk from bacteria, parasites and viruses in the water. The main challenge, provided you have the right equipment, is preventing recontamination after the water has been purified. Distillation is very similar to boiling, but it requires a bit more equipment and is generally more effective at removing contaminants. You set the water boiling, and collect the vapor as it condenses. This leaves behind most contaminants, although it’s worth noting that any contaminants with boiling points below that of water (at 100 degrees Celsius/212 degrees Fahrenheit at sea level) will still be present in the condensed water, possibly with greater concentrations than before. Other downsides are the time-consuming nature of the process and the fact that it generally requires too much energy to be economically viable in large-scale water treatment. Filtration is another conceptually simple approach to water purification, but it isn’t quite as straightforward as you might think. The basic concept is that by forcing the water through small spaces, contaminants that can’t fit through are left behind. It’s quite economical, because very little water is wasted in the process, and it doesn’t use much energy. Many different filters are available, and the contaminants they’re capable of removing depends on the size of the mesh. The vast majority of filters can’t remove waterborne viruses, and most of them are quite bulky so would be difficult to carry around. The filter itself also has to be clean, and as with many methods, the water could easily become contaminated again after the process has completed. Chemical treatments depend on chemical reactions to remove contaminants from water, and different chemicals are more effective for different contaminants. Iodine is one of the oldest approaches to chemical water purification, and tablets or solutions containing it are generally effective at neutralizing bacteria and viruses present in water. However, iodine turns water yellow and leaves an unpleasant taste and odor. Plus, it only really works on water that is already clear (so filtration may be required first). The water to be treated also can’t be cold; for instance, the water must be at 21 C/68 F for giardia to be removed with iodine. Chlorine is the widest-used chemical water treatment in the world, and it’s available in the form of tablets, liquids and granules. Despite being effective, it has to be handled carefully, and it does leave an unpleasant taste in the resulting water, much like iodine – but as you may expect, it tastes a bit like drinking swimming pool water. Alternatives like sodium dichloroisocyanurate (NaDCC) release free chlorine, but the chemical mixture is safer to handle and doesn’t leave a taste in the water, so these are the most common choices for water purification tablets. Generally speaking, water purification systems consist of multiple components to ensure the resulting water is safe to drink and pure in taste. Aeration is often the first stage, allowing any gases trapped in the water to escape, followed by coagulation, where dirt and other solid matter stick together to make them easier to remove, and sedimentation, where the particulates gradually sink and separate from the water under the influence of gravity. After this, the water is filtered to separate the coagulated (floc) materials, and finally, chemical treatment ensures safety from micro-organisms. If you’re looking to create a working model of a water purification plant, these stages should be incorporated into your process. How Do You Purify Water With Sand? One of the best and easiest water purification project ideas is to create a sand-based filtration system for water. This is easy enough to do with items that you likely have around the house. Get two empty 2-liter soda bottles – one of which you cut in half – a coffee filter or filter paper, some fine sand and coarse sand, some small pebbles, a couple of spoons, two cups, a 1-liter beaker, a rubber band and a sample of dirty water (whether collected or made using dirt and ordinary tap water). Getting some aluminum potassium sulfate (alum) is useful because it coagulates the sediment in the sample. If you have activated charcoal, this can remove additional components through chemical reactions. The basic principle of a sand water purification system is that of a filtration system: By sending the water through the fine material, contaminants present in it will be trapped and won’t end up in the water that comes out of the other side. In this project, you use the top half of a 2-liter soda bottle as a filter. Put a coffee filter (or filter paper) over the mouth of the bottle-top, using the rubber band to keep it in place, turning it upside down so the cut section is pointing upwards. If you have activated charcoal, add an inch or so of it to the bottom, and then add a couple of inches of gravel or small pebbles. Now add some coarse sand on top of this, and some fine sand on top of this, shooting for 3 to 4 inches of sand in total. Place this – mouth end downwards – on top of the beaker like a funnel. Put your dirty water in the uncut soda bottle, screwing the cap on and shaking the liquid for half a minute to aerate it. Pour it out into the bottom half of the cut bottle, and add a tablespoon of alum if you have some, stirring for five minutes. Leave the water for around 20 minutes, allowing the coagulated sediment to sink. While you’re doing this, gently run 2 liters of clean tap water through your filter system, being careful not to disturb the sand on top. This will take some time but prepares your filter to work with the dirty water. Empty the beaker when you need to, and once you’ve done that and the dirty water has partially separated, you can run it through the filter. Compare the filtered water to a sample of the original pond water. How well has it been purified? It’s important to note that without chemical water treatment (even if you used a charcoal filter), it’s unlikely the water will be completely safe to drink. Just inspect it visually – don’t taste it! How Do You Make a Water Filter Experiment? The project in the last section can be used for a science fair water purification experiment quite easily. You can use different filtration techniques on samples of the same dirty water and compare the results. For instance, you can try the project with the method described above, and compare this to a commercially available water filtration system, or you could investigate the difference specific components of the filtration system make, for example, comparing the end result with and without the addition of alum. Could you use something like a sponge or rice for a filter instead of sand and gravel, and will it work as well? The best idea for a water purification experiment for high school, or just a project, would be to compare the different approaches for water purification. You could easily test several methods, with boiling, filtration and chemical treatment all being fairly easy to test. You could use a sand filtration system like the one described above or a commercially available one, and you can find water purification tablets to test too. A simple approach to a project would be getting a sample of dirty water – using the same water for all tests, to minimize variables – and trying to purify it using each method. Test the effectiveness of the different approaches using a home drinking-water test kit if you want to be as professional as possible. However, you could also visually inspect the water for clarity, and test for bacteria using a petri dish and a growth medium such as a slice of boiled potato. Put a bit of potato in each petri dish and add a drop of water from each purification method, along with an unfiltered sample and a clean tap water sample to use as a control. Label each dish accordingly, cover them and leave it for a few days to give the bacteria chance to grow. Which method was the most effective? Could you combine one or more methods to produce a better result? What are the strengths of the different approaches? Johnson, Lee. "School Projects on Water Purification Treatments." Sciencing, https://sciencing.com/school-projects-water-purification-treatments-7879769.html. 15 December 2018.